Hello! First of all, I just want to thank Tracey for featuring birth photography and my business this week! 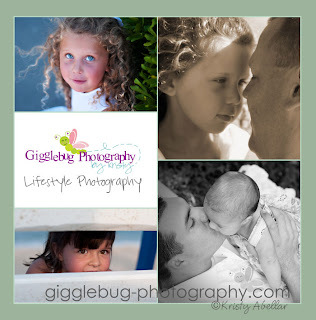 My name is Kristy Abellar, and my company is “Gigglebug Photography by Kristy”. I am based out of the Jersey Shore area. In addition to birth photography I provide all kinds of family photography including newborn sessions, siblings, family groups, and beach sessions. My style is somewhat casual and I prefer capturing families and children as they interact naturally with each other. Over the course of this week I will be telling you a little bit about my journey to professional photography and the kinds of services I offer families! I have been taking pictures since I was a child. But, I have not been a professional photographer for very long. My business is brand new. I used to teach second grade, I guess you would call that my “true” profession. I have a degree from Rutgers, and I’m a certified elementary school teacher in NJ. However, I left that world when my son was born. Emotionally, I just could not handle being gone all day long and being with other children for six hours, and my own for only two hours. I felt like a full-time teacher and part-time mom and it just hit the point when my second child was born that I couldn’t do it anymore. So, I left. It was one of the hardest decisions I have ever made, choosing to be home to witness the tiny moments, and to walk away from a secure and great-paying job (it was a high paying district). It was like a battle between my heart and the sensible/realistic side. I went with my heart. That was four years ago. It hasn’t been easy. It’s definitely been a financial struggle, but I know it was what I had to do. I just had to. I would have had too many regrets if I had stayed. However, now the realistic side is knocking at the door loud and clear and saying it’s time to go back to work, because raising three kids takes more than just daddy’s income! So, I’m hoping to strike a nice balance and do something I truly love, which will at the same time allow me the flexibility to still spend time with my children (now 5, 3, and 1). I’ve always been fascinated with photography. I think the beauty of life lies in the tiny details. I love capturing true emotions and reactions and literally freezing the moment. My grandmother was so into the posed “everyone say cheese” pictures as I was growing up, and I think she drove me to completely rebel against that! I think you learn so much more about a person and about a family through the genuine photos. That’s where the essence of relationships is truly revealed. That’s one of the things that really drew me to birth photography and lifestyle photography. It’s just so authentic. This week I will spend some time talking about the different types of photography I offer. Underlying all of it is the desire to capture you and your children as you truly are, even if they photos involve posing. Sometimes I have to say silly things or result to talking about dirty diapers to get kids to laugh, but it works…and the smiles are real! The concept of lifestyle photography is unfamiliar to many families, but it’s basically on-location photography which involves minimal posing and focuses on interactions. It’s about 90% candid and 10% casual posing. It’s more like “coaxing” you situations and being ready to capture things on the fly. Here are some of my favorites from some recent lifestyle sessions ( none of these were posed, they just happened and I was ready to capture it). I look forward to sharing more with you in the next few days,and if anyone has any specific questions or wants me to talk about certain photography tips, just leave a comment!